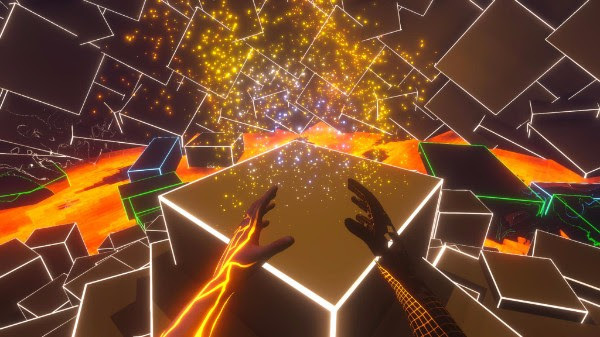 Certain sections of Soul Axiom are as memorable as Wales Interactive would like them to be. Unfortunately, however, these moments are buried under a lacklustre and confusing storyline and simplistically dull puzzles. A little while after I began writing here at We Got This Covered, I had the opportunity to review Master Reboot, one of the first titles developed by the team at Wales Interactive. I knew little of the game going in, but after wrapping my head around the trippy storyline, I walked away quite impressed. Now over two years after I covered the game, the studio has returned with the equally strange Soul Axiom, which is now available on the PlayStation 4 and Xbox One. Set several years into the future, Soul Axiom has players exploring the online world of Elysia. A Digital Soul Provider, Elysia is a fully immersive world where the memories and dreams of any being can be recorded for the rest of time. In theory, this type of program could let those that have passed live forever. Of course, as things tend to happen, something in the programming has failed, which has lead to several memories becoming corrupt. As a nameless user, you have found your way into Elysia and figure out what the deal is with the DSP and its creators, as well as the mystery behind your own identity. While it may have a similar memory exploring story to that of Master Reboot, this is a more sprawling adventure. Instead of just exploring the memories and dreams of one person, you are entering the minds of several characters. Unfortunately, instead of letting players explore one person at a time, the levels jump from character to character with little warning. Every level is different, which makes piecing together just what exactly is going on borderline impossible. The collectible Personal Message Objects found in each stage help flesh things out a little, but I feel the story would have been better served by focusing on just one person’s memories. The jumping between four unique personalities is frequently confusing, and lacks the emotional resonance found in Wales Interactive’s previous effort. In order to get the bottom of the many mysteries Soul Axiom throws at you, the title lets you interact with the environment through a handful of different powers. The three powers you have access to, which are controlled through your hands, each serve a unique purpose. The Phase power lets you dissolve and create objects, Play grants you the ability to move and pause things and Destroy gives you the power to fire devastating blasts of energy. A fourth power, Corrupt, is arguably the strongest one you have access to, but it only becomes available close to the tail-end of the game. The catch with these powers, though, is that they can only be used on certain objects. Green-hued objects can be moved around with Play, blue objects can be vaporized or created , orange objects can be destroyed and purple beams can be redirected through Corrupt. It makes sense, but it’s annoying that certain objects can be manipulated, while others, despite looking exactly the same, can’t be. As for what you use these powers for, well, you’re mostly using them to solve puzzles. The type of puzzles you come across in the game range from the mind-numbingly simple, to barely explained. The bigger issue, though, is that Soul Axiom gives you all of these powers to use, but rarely has you use them in any creative way. Most of the time you are just using them to rotate objects using Play or blasting something with Destroy. If you’re giving me the ability to move objects with my mind, give me something more creative than re-assembling a dinosaur skeleton. That’s not to say that every challenge in the game is bad, it’s just that a vast majority of them are either tedious, like the aforementioned dinosaur “puzzle,” or poorly-concevied, such as an early riddle that requires knowledge of European flags. Honestly, at the half-way point of Soul Axiom, I was pretty damn disappointed with what I was experiencing. An incomprehensible storyline, combined with tedious puzzle solving and exploration was not something I enjoyed dealing with. Surprisingly, though, things do pick-up in the back-half of the campaign. After completion of the original levels, you are granted access to the aforementioned Corrupt power, which then lets you unlock additional memory fragments that were previously locked in each level. Sure, there is plenty of tedium found in going through the same blah levels again, but once you access the memory cube, you unlock another set of levels. Maybe it was due to my boredom and frustration with the first several hours of the game, but these action-heavy segments were a welcome breath of fresh air. Call it padding if you want, but in this case, I’ll take a few more hours of additional content over what could have been. Like the memory fragments you traverse, Soul Axiom is incredibly varied in the visual department. The unique visuals of the title are perhaps best seen in the Tron-inspired sections that dominate the back stretch of the game. The use of strong neon-hues and striking shapes by Wales Interactive in these moments are some of the best I have ever seen. Unfortunately, the other half of the game, which has a much more realistic look, doesn’t fare as well. Again, the environments are incredibly varied, and there’s something to be said for being able to jump from an ice palace to a Gothic cathedral to outer space. However, if you really look at these environments, the muddled and blurry textures jump out immediately. 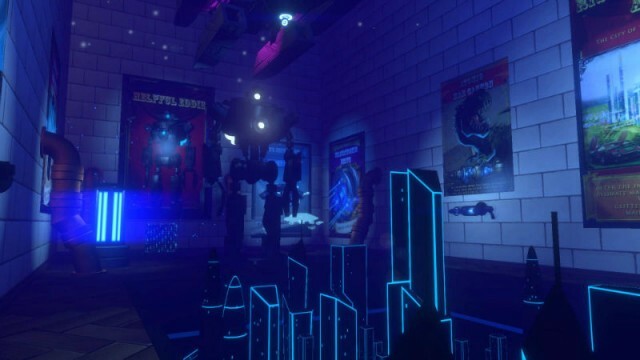 Had Soul Axiom found a way to combine the action-heavy segments of the latter half of the game, with the rudimentary puzzle solving of the first half, I may be more inclined to recommend the title. Unfortunately, the title spends far too much time leading players on with lackluster riddles and a frustrating storyline that is more content with asking questions than providing answers. Despite the bigger package, the game feels like a step back from the tight storytelling and memorable exploration of Wales Interactive’s previous effort. There are good memories here and there, but for the most part, I’m okay with forgetting my time in Elysia.